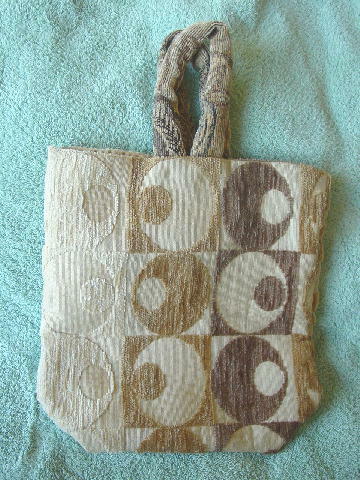 This vintage open top end tote is made from soft upholstery fabric. 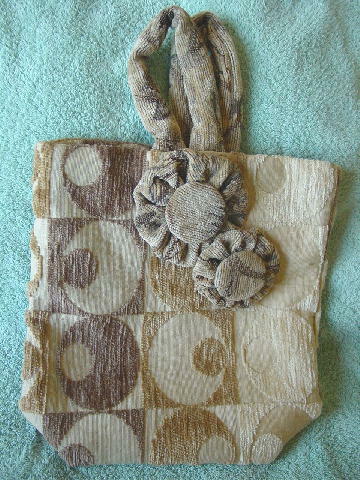 It has a separate lining of a different upholstery fabric. There is also an open interior pocket and the upper front exterior has two large button ornaments. It has two 13 1/2" by 1 1/4" hand straps. 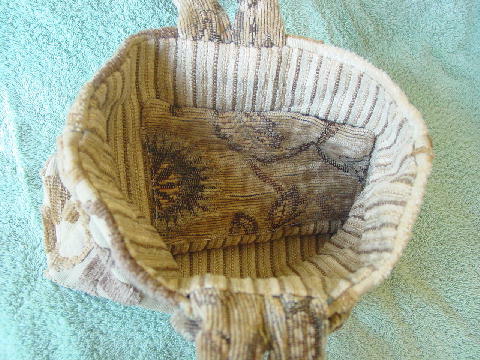 The interior pocket is in the same fabric as the two handles and ornaments. It's in sand, black, reddish brown, golden-bone, bone, gray, light chocolate brown, and golden honey-brown.